Hey Total Gym Team, it’s Master Trainer JayDee here to introduce you to another wonderful, multipurpose Total Gym accessory from Total Gym: the Tri-Grip Shaper Bars. One of the best benefits of owning a Total Gym trainer is its versatility. As a fitness professional, I make a living training clients and they love the variety of workouts I put them through on my Total Gym. I could train a client three times a week for years and not have to put them through the same workout twice! They all appreciate the freshness the Total Gym provides. As someone who loves to workout, the Tri-Grip Shaper Bars multiply the versatility of my Total Gym. The Total Gym Tri-Grip Bars work with both the Total Gym XLS and the Total Gym FIT. These ergonomically engineered attachments will pump up your upper body workout to another level. 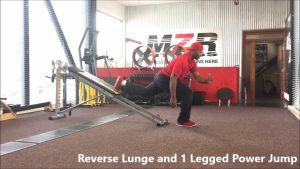 As you will see in the accompanying video, they attach to the top of your Total Gym for a wide variety of exercises, and also to the bottom of your Total Gym to expand your exercise repertoire. Narrow grip pull-ups are a great way to strengthen the mid back muscles. Perform chin-ups to strengthen the back muscles with more biceps engagement. Bicep curls to pump up “the guns”. Plyometric pull-ups are dynamic and explosive moves to keep your muscles guessing and progressing. Shoulder press-up to strengthen the entire shoulder complex. Press-up with triceps focus is another pump for “the guns”. Plyometric shoulder press-ups are explosive moves to keep your muscles guessing and progressing. Plyometric triceps press-ups, another explosive move targeting the fast twitch muscle fibers. Keep those muscles guessing and thus progressing. And these exercises are just the tip of the iceberg. The Total Gym is so versatile you just have to use your imagination and have some fun! Having worked on my Total Gym for 11 years, I’m astonished that I’m still continuously discovering new exercises just by playing around and tweaking the traditional exercises. So, check out the video as I will show you how the Tri-Grip Shaper Bars can help you improve your arm strength, your shoulder strength, your back strength and your ab strength. 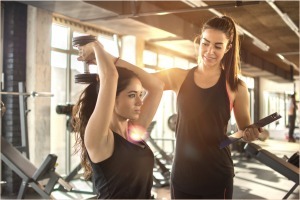 I will also give you a dynamic, circuit-style workout that will not only improve your overall upper body strength, but will alleviate the boredom that sometimes sets in from doing single, simple exercises at a time. 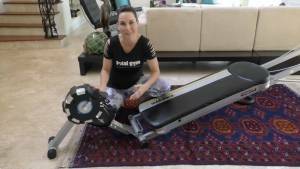 As always, I’d love to receive any questions or comments regarding your Total Gym workout. Wishing you all a wonderful, healthy holiday season. 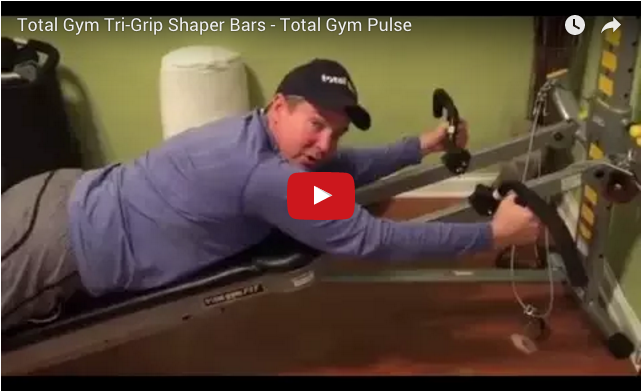 Are the Tri Grip Shaper Bars universal to fit all Total Gyms?